/ Home / Press office / What do enquiries to the University tell us about South West businesses? Rich Adams, Corporate Project Manager at the University of Plymouth, shares his insights. 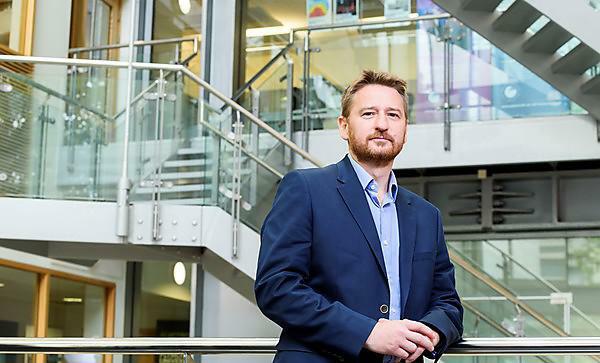 Each year, Enterprise Solutions connects hundreds of South West businesses with the University of Plymouth’s facilities and expertise. What do those enquiries tell us about the priorities of businesses in the region? Rich Adams, Corporate Project Manager at the University of Plymouth, shares his insights. The Enterprise Solutions team is the first port of call for businesses looking to collaborate with the University of Plymouth. Whether it’s a phone call, an email or a face-to-face conversation, we are often the first to hear about the help or support that business needs. Handling hundreds of such enquiries a year gives us unique insights into what is on the mind of South West businesses. Here are some themes that we have picked up. We’ve helped CATERPILLAR MARINE POWER UK Ltd access the potential of Degree Apprenticeships and we are working with Effect Photonics to help the team there bring its System on Chip communication systems to market. And we’re collaborating with Made for Life Organics to create a specialist new skincare products. These are just a few examples – and there are many more – that illustrate the spirit of innovation among South West businesses embracing R&D. Although the South West business community is mainly made up of SMEs, that does not seem to limit the region’s ambition on the world stage. For example, we have a long-standing relationship with Spinnaker, a Cornish company whose groundbreaking cash-in-transit security systems are now used all over the world.